03.02.2015. Napier, New Zealand. Kane Williamson batting during his century innings. ANZ One Day International Cricket Series. 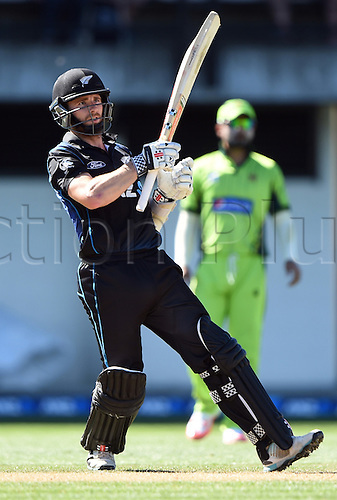 Match 2 between New Zealand Black Caps and Pakistan at McLean Park in Napier, New Zealand.